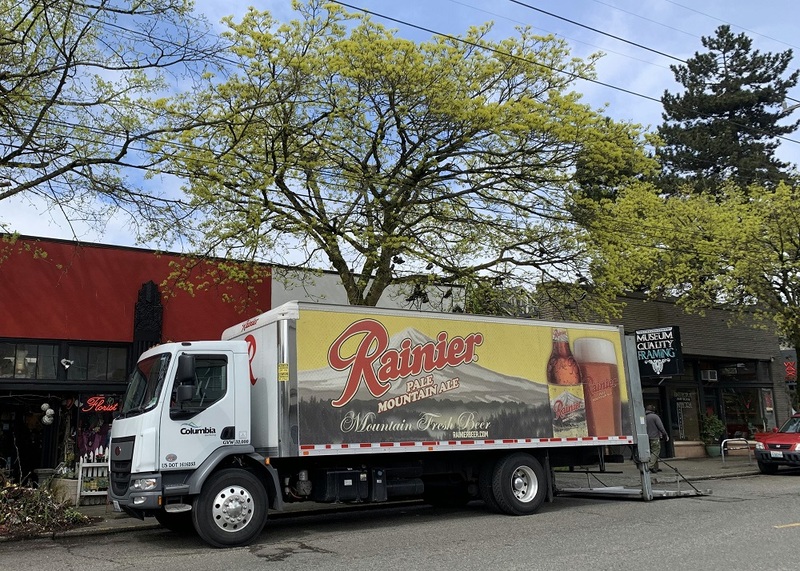 Here’s a Rainier beer truck on 15th Ave, delivering supplies to the local restaurants and watering holes, no doubt. Rainier-branded beer was launched 1878, 11 years before Washington became the 42nd state in the Union (on November 11, 1889). The ‘pale mountain ale’ shown on the truck was introduced in 2016, brewed with Yakima valley hops. I see on the website it was a limited-time offering, though – so it might not be available anymore. Thanks for the update! So Rainier beer comes from California these days. Hm. Previous PostPrevious Monday/ another candidate for 2020 .. go Democrats!